New Buckenham’s village website gives information about topical events, organisations and the parish council. The neighbouring villages of New Buckenham, Old Buckenham and Banham are served by a local independent website that lists trades, events and some old photos of the area. Old Buckenham’s own website is complimented by an active blog from its monthly newsletter. Genealogists can get information from a list of baptisms 1830 1880 in St Martin’s Church and a World War 1 roll of honour in the same church. Baptisms 1830 - 1880 in the Wesleyan chapel are also listed. The 1803 census has been transcribed by GENUKI and there is also a surname list for 1891. Try also the Norfolk Family History Society. A list of village grave monuments is seen in the Gravestone Photographic Resource. The neighbouring towns of Attleborough and Wymondham have their own heritage websites as do the adjacent villages of Bunwell and Carleton Rode. Norwich Record Office offers more general county-wide information including much from New Buckenham. Archaeological and other information is on the sites of the Norfolk Heritage Explorer and the Norfolk Archaeological and Historical Research Group. This archive has used material from the English Heritage descriptions of New Buckenham’s listed and scheduled buildings, for which the webmaster is most grateful. 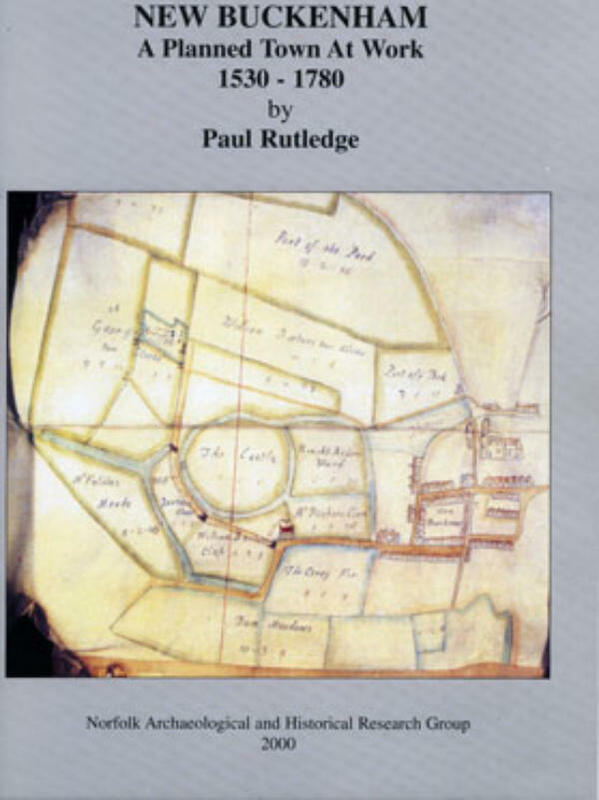 The domestic and social life of past village life is beautifully described in “New Buckenham - A Planned Town At Work 1530-1780” (Norfolk Archaeological and Historical Research Group) written by Paul Rutledge. Paul also contributed the biographical details of John Verdon and others. Those interested in the village’s timber-framed buildings should look at the activities of the Norfolk Historic Buildings Group. 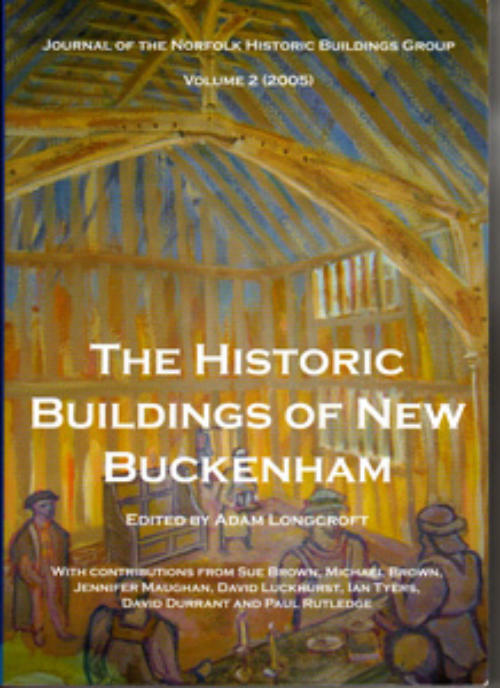 The group’s comprehensive 2005 study is the subject of its acclaimed publication “The Historic Buildings of New Buckenham” that is well worth reading and available for sale. New Buckenham’s former postmill on the common is documented in the Norfolk Mills website. More recent life in the village is set out in directories such as Kelly’s and White’s. Some extracts have been taken from Leicester University’s excellent on-line directories of Norfolk.